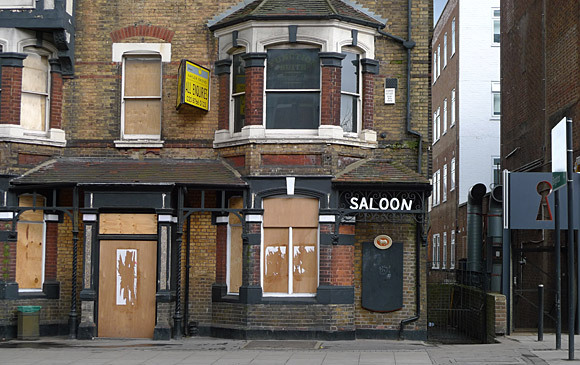 I've been documenting the many lost pubs and bars of Brixton over the years, and it was sad to see two closed pubs on the main thoroughfare through Streatham. Here's a few photos. Hopefully they may reopen some time in the future, although it looks unlikely in the present economic climate. 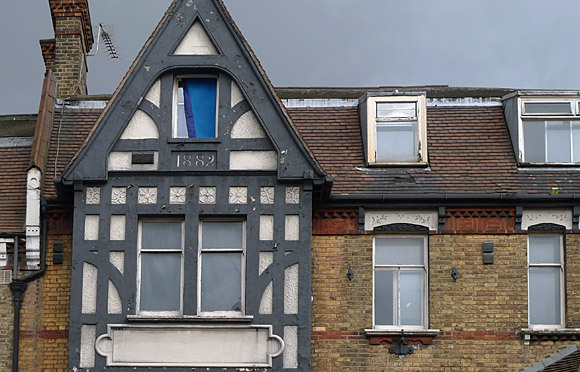 The fine Victorian facade of the Bedford Park pubic house at 223 Streatham High Road, SW16 6EN. 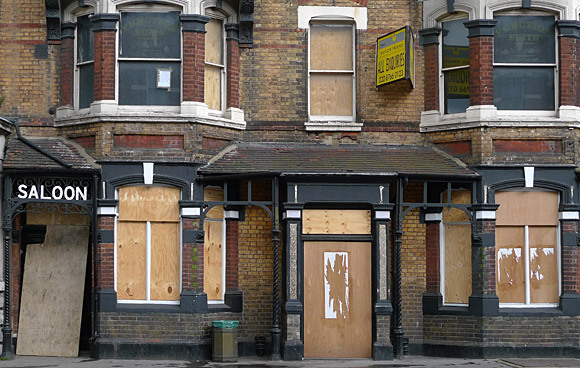 Formerly a Youngs pub, it was closed at the beginning of 2009. The pub used to put on live gigs and offer rehearsal rooms upstairs. You can just make out the words, "Function Suite Available" on the blacked out upstairs window. 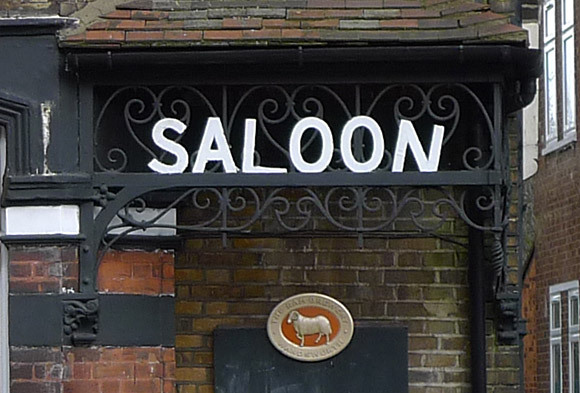 Note the intricate ironwork on the 'Saloon' sign above the right hand entrance. "Went for a pint in the bedford park a few years ago (maybe 5 or 6?). the beer was unpleasant, and the clientelle glared as you entered." Roof detail showing the half timbered and brick facade, with the construction date of 1882 inlaid. 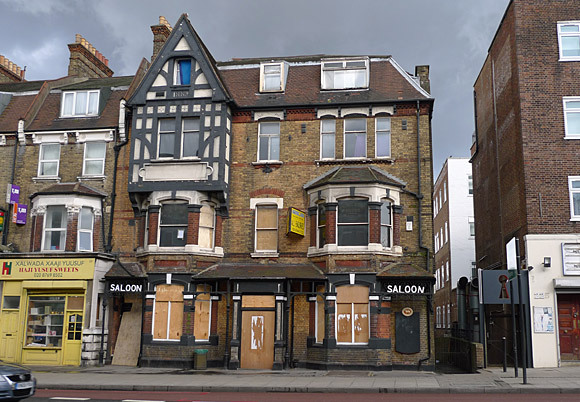 It certainly lacks the architectural merit of the Bedford Park further along the road, but it's always sad to lose a pub. 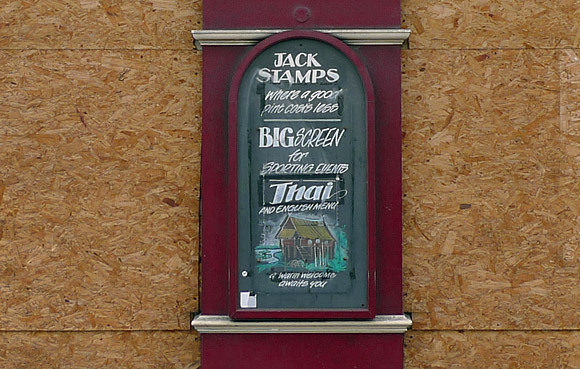 Here's the Jack Stamps Beer House at 82 Streatham High Road. 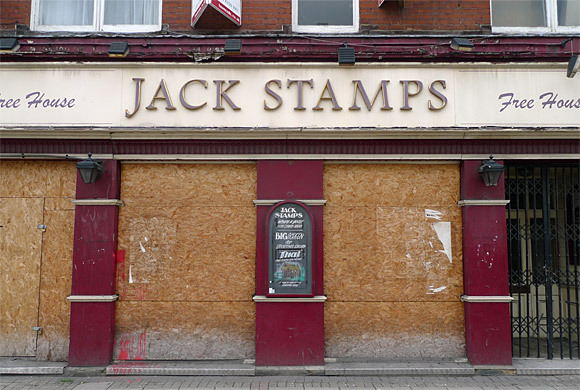 "Jack Stamps had been a pub for only about fifteen years. Prior to that it had been Italian restaurants under a number of various guises owned by Grand Met and then by a management buy out. Friends who were brought up in Streatham in the early 80s still wax nostalgic about its previous incarnation as 'Pizzaland'. Anyone remember when it was "Pastificio" some twenty years ago? God, that was a dire place to eat." 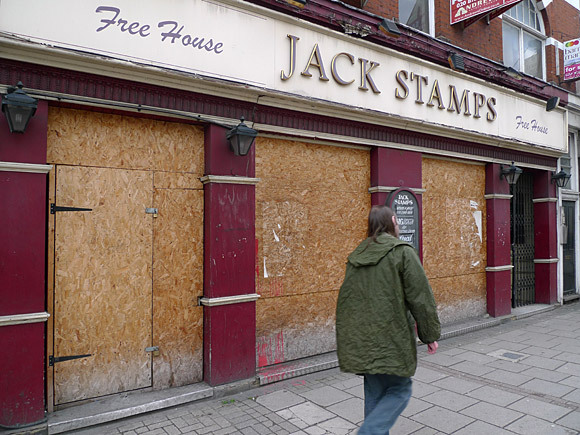 The pub has been closed since February 2008. » Chat about these two pubs on our bulletin board.